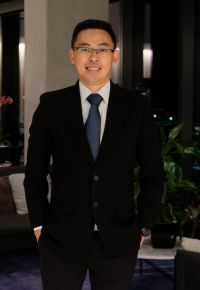 Kiki Setiawan is the Managing Partner of Kiki Setiawan and Partners Law Firm. He has been practicing for many years and engaging in various investment and commercial legal transactions, merger and acquisitions, financing and employment and general advisory on corporate and commercial law. During his career in some prominent law firms and multinational companies, Kiki has counseled and represented a wide range of multinational corporations in various line of businesses such as pharmaceutical, mining, manufacturing, trading, e-commerce, stevedoring, electronic and so on. Kiki is a licensed Advocate and a member of the Indonesian Advocates Association (PERADI). He has been involved in civil, criminal and commercial litigation, bankruptcy and liquidation cases. Kiki has been appointed as one of recommended lawyers at some embassies and consulates in Indonesia. In addition, he is currently one of Indonesian local experts for the Women, Business and the Law of the World Bank research team. Kiki holds his Bachelor of Laws (LL.B.) from the Faculty of Law, Atma Jaya Catholic University of Indonesia, majoring in Business and Economic Law and Master’s Degree in Law (LL.M.) from the University of Melbourne focusing on Investment and Commercial Law under the Australia Awards Scholarship. Kiki was also participated in some international forums, courses and conferences such as Transformational Business Leadership Course in Sydney, Conference of Australian and Indonesian Youth in Melbourne, CSR Asia Tokyo Forum in Tokyo and Australian Legal Process and Legal Institutions Course hosted by Melbourne Law School in Melbourne.